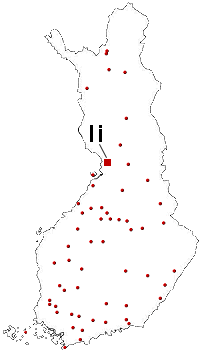 The muncipality of Ii (ii not Li ) is located 20 min north of the city of Oulu. About 40 min from Oulu airport (EFOU) by car along Highway E75. Follow E75 (Highway 4) from Oulu, about 35 km towards Kemi. When approaching Ii, at shopping mall ”Autokeidas” turn right to Sorosentie, and after 2 km driving leave Sorosentie to right to Tikkasensuora (formerly Mökkiperäntie). 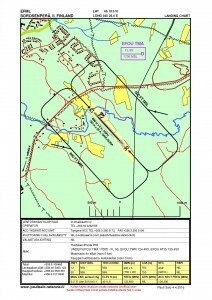 Drive about 500m and turn right to small forestroad which leads to airfield. If you use GPS, use address Tikkasensuora 52 (or old address Mökkiperäntie 51), 91100 Ii. At that point small road turns to the forest and leads to the airfield. Ii offers guests a clean environment, magnificent river and sea landscapes and a peaceful place to live. The water element has a powerful presence in Ii. A diverse nature abound with waterways provides a splendid setting for outdoor activities, berry picking, hunting, fishing, sports and boating. Fishing has always been an important means of livelihood and a way of life to Ii inhabitants. More information about Ii. EFML LDG Chart. Click on the image for pdf file. EFML seen from the air.